It’s the Annual Imagination Celebration at the Northfield Arts Guild. This is a day of free art activities and performances at the Arts Guild, held in conjunction with the All-School Art Show. 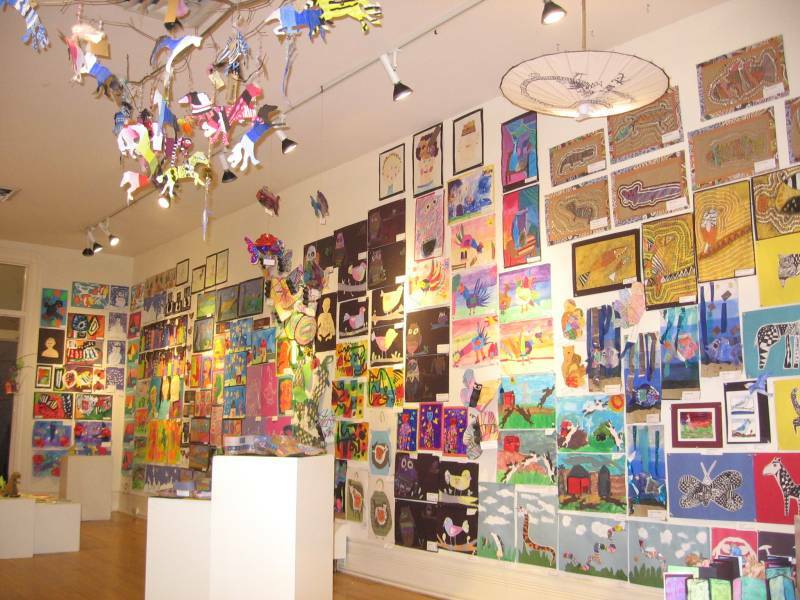 The art show features the work of Northfield’s youngest artists, from grades K-12, and their work is hung from floor to ceiling in the gallery…in downtown Northfield. Friday, April 20th: Barb Piper, 5:00 to 7:00 p.m., Contented Cow; Daniel Choma & Jason Roberts, 6:00 to 8:00 p.m., Hogan Brothers Acoustic Cafe; Paper Daddy, 7:30 p.m., Northfield Arts Guild Theater; Early Music Singers/Collegium Musicum, 7:30 p.m., Boe Memorial Chapel on the St. Olaf College campus; Matthew Griswold, 8:00 to 11:30 p.m., Tavern Lounge; Shoot Lucy, 9:00 to 11:30 p.m., Contented Cow; and Karaoke, 9:00 p.m., Rueb’N’Stein. Saturday, April 21st: Exhibit Reception: Imagination Celebration, 11:00 to 3:00 p.m., Northfield Arts Guild; Wake-Robin, 12:00 to 1:00 p.m., Bittersweet; Tuition Daddies, 6:00 to 8:00 p.m., Hogan Brothers Acoustic Cafe; 2001: A Space Odyssey, 7:00 p.m., Weitz Cinema on the Carleton College (downtown) campus; Paper Daddy, 7:30 p.m., Northfield Arts Guild Theater; Potluck & The Hotdishes, 8:00 to 10:00 p.m., Contented Cow; Mike Pattison, 8:00 to 11:30 p.m., Tavern Lounge; The Counterfactuals and The Rice County Roosters, 8:00 p.m. to 12:00 a.m., Rueb’N’Stein. Sunday, April 22nd: Exhibit Reception: Senior Art #1, 2:00 to 4:00 p.m., Flaten Museum on the St. Olaf College campus; Politics and a Pint, 6:00 p.m., Contented Cow; and Quiz Night, 8:00 p.m., Contented Cow.